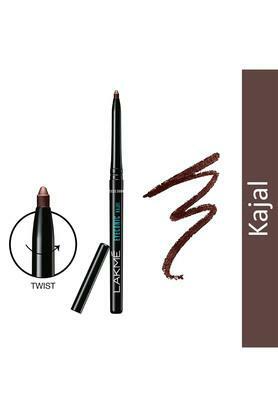 Get the eye conic kajal in black, from the house of Lakme. Accentuate the beauty of your eyes with the eye conic kajal in multiple shade. 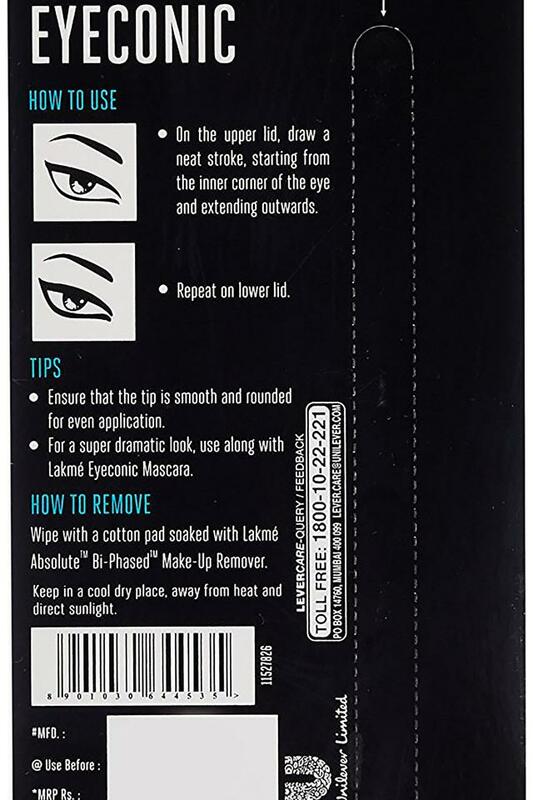 This dermatologically tested kajal is just what you need for completing your eye makeup or carrying a simple, only kajal look. 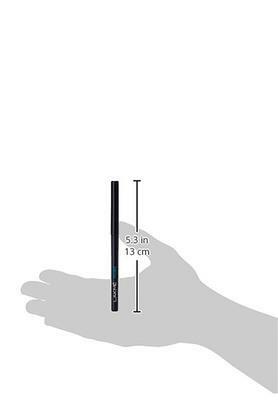 It's a smudge proof, water proof kajal and can add the dramatic and glamorous look to your eyes. 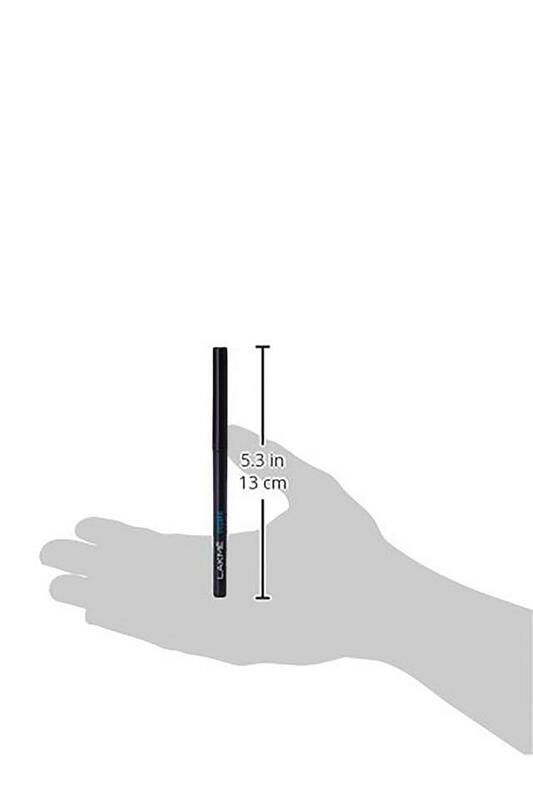 Smudge proof and convenient twist up format for deep stroke which gives you intense look. Can be used by water line and eye lids with the deep finish.